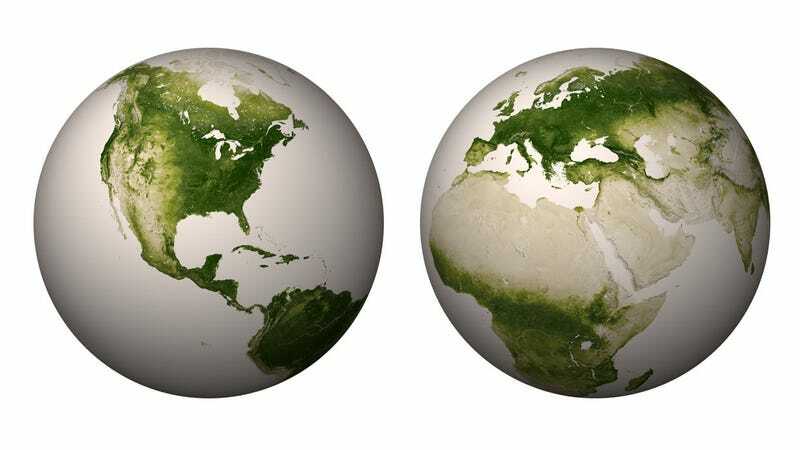 This picture might look like an incomplete map of the world, but it is in fact the highest resolution view ever of all the world's plant life, mapped out by NASA's Suomi NPP satellite. Using its Visible and Infrared Imaging and Radiometer Suite (VIIRS), the satellite's capable of measuring the amount of visible and near-infrared light reflected from the surface of the planet. Because vegetation absorbs visible light to drive photosynthesis but reflects near-infrared light, it's possible to map where vegetation lies by looking at the ratio of the two.